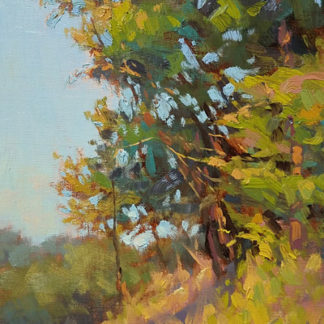 Painting light in the landscape is a skill that escapes many artists. 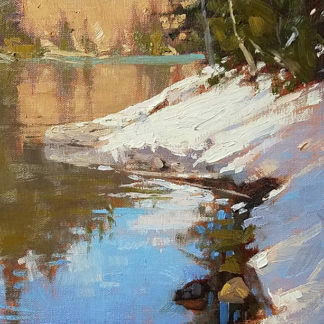 One of the reasons it can be difficult is because we often focus more on rendering the subject matter rather than capturing the EFFECT of light and shadow within the landscape. Painting snow is an excellent subject to study in order to learn color temperature, since we need to do some visual translating from a reference photo in order to paint that effect accurately. 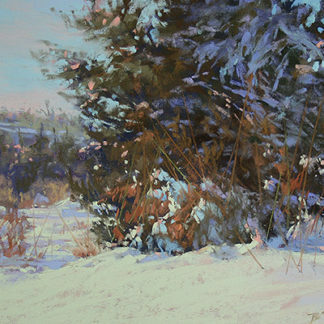 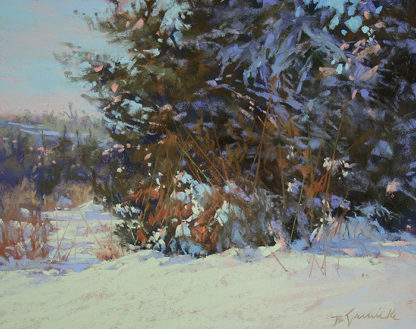 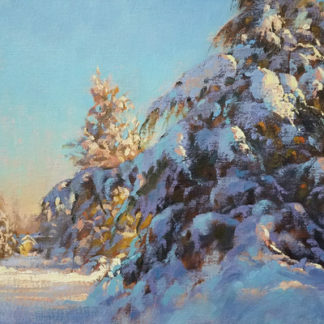 In this lesson, I’ll take you through the progression of a pastel painting of a snow scene on a bright, sunny day. 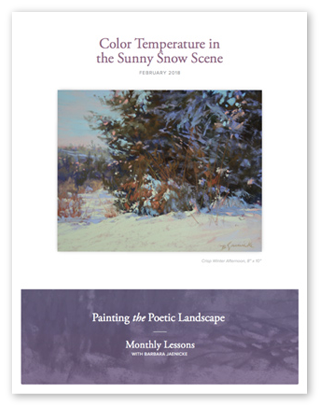 We’ll look at how to translate the effect of light on the snow—as well as the surrounding landscape vegetation—into accurate choices for hue, value, temperature and chroma.